Its been a busy winter and we've had a great variety of work to get through! 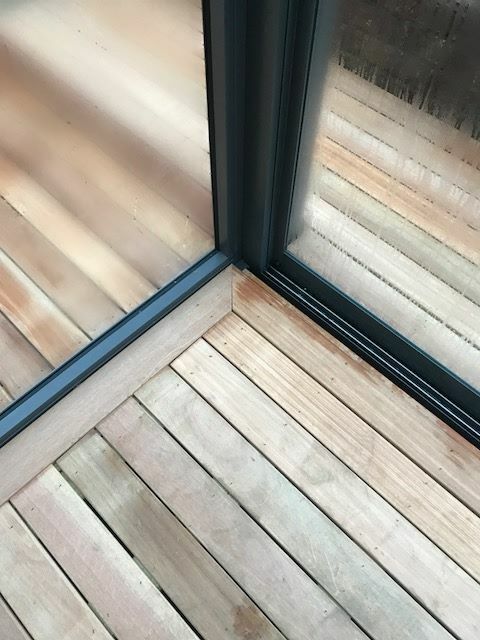 We've had two hard wood decks; one in balau one in Gum tree. 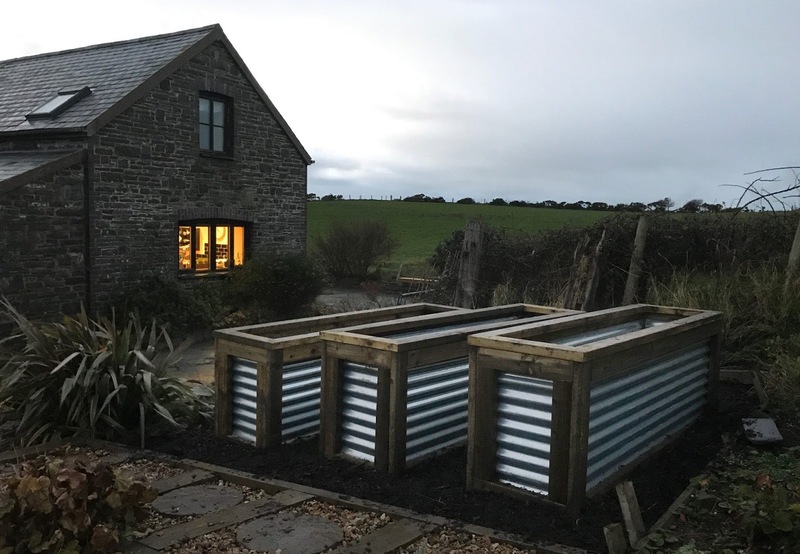 Some planters ready for next spring in corrugated sheets and timber, and a a really great deck on a massive double unit caravan/chalet. 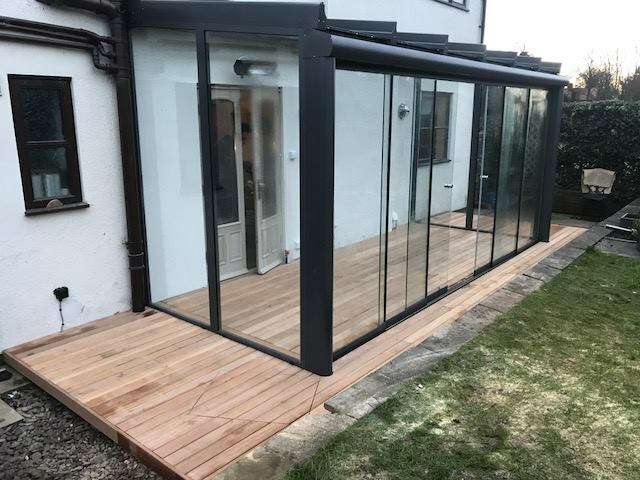 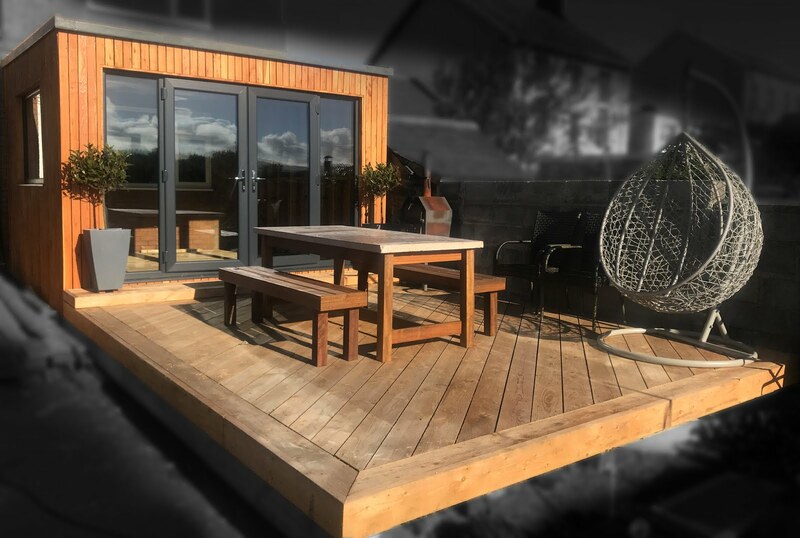 To start with here an inside / outside deck we build in Balau hardwood, around this great glass garden building near Shrewsbury. 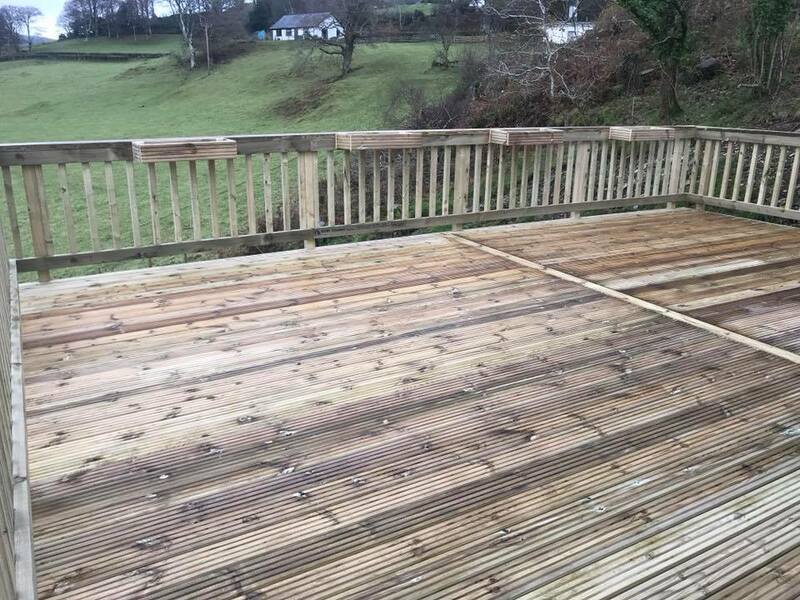 Another hardwood deck, this one in Spotted Gum hardwood. 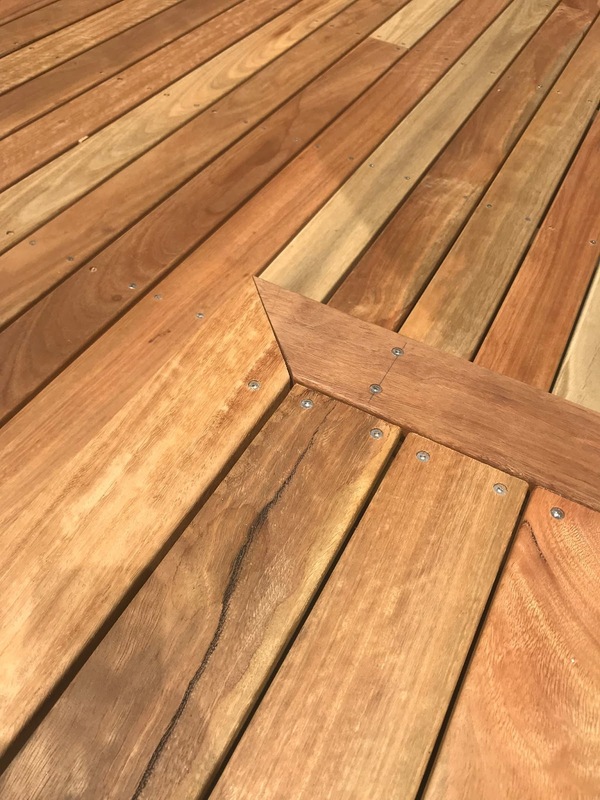 A very popular wood in Australia, where I was lucky enough to visit in November and build a deck whilst there, talk about a bus mans holiday! 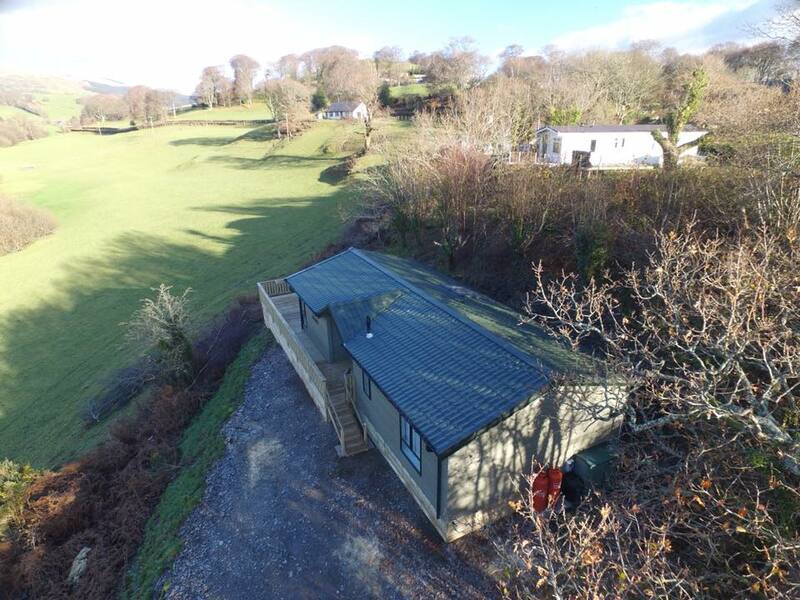 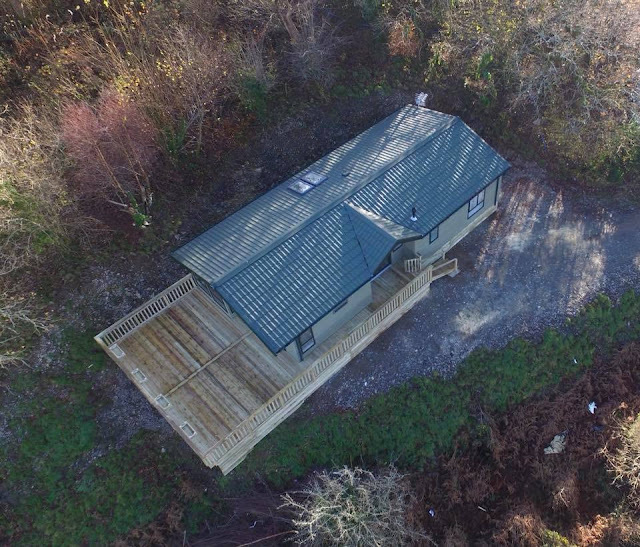 Here's a stunning Willerby New Hampshire holiday home e recently had the pleasure of working on. 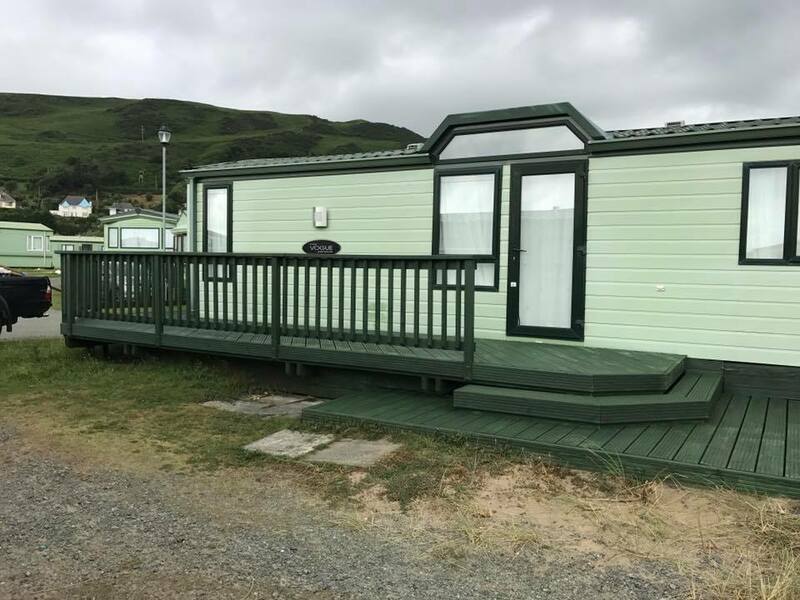 We designed a deck that complimented the large caravan and gave the owners all day sun and awesome views. 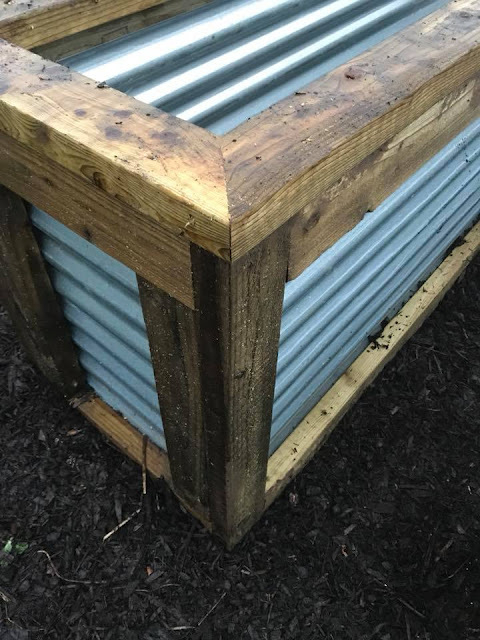 Here's a trio of garden planters made using corrugated and galvanised sheets and timber.